Which are the different Pilots? B.R.I.C. is an education tool and showcase in Brussels, Belgium. It is consisting of a wood frame structure and prefabricated wall, floor and roof boxes. B.R.I.C is buildt, dismantled, reconstructed and transformed 3 times. The aim is to investigate and demonstrate that it is possible with circular and dynamic building design. At the same time BRIC will involve local actors and stimulate the circular industry, while educating and giving training and awarness. Green Transformable Building Lab will be the place for test and demonstration of design tools, building products and elements in an operational environment. Experiments will especially focus on standardization of interfaces between different building systems and functional integration of reconfigurable and upgradable modular components. After the construction of the first configuration, at least 1 transformation of the building will be performed. Green Transformable Building Lab aims to demonstrate that waste generated by changing functions of a building can be reduced by 70% through the use of upgradable modular and exchangeable components. The use of virgin materials will be reduced by 50%. This is a pilot for sustainable design with a special focus on the Cradle to Cradle design principles focusing on transformable and recyclable design, healthy materials and the use of a “Material Passports”. The pilot project has been successful in implementing and testing key aspects of BAMB within a realistic market environment. The pilot project “New office building” is located in Essen, Ruhr-area in Germany. Circular Retrofit Lab is a research Project of the transformation of 8 students rooms in the middle of the campus of the Vrije Universiteit Brussel (VUB). The housing units are made by prefabricated concrete modules and the buildings are stripped to the loadbearing structure and a new reversible infill is being introduced for the interior and exterior fitting-out. The TRANSFORM research team are investigating and demonstrating how Reversible Building Design can prevent demolition waste when refurbishing existing buildings. 3 renovation strategies are used; the internal transformation will test and showcase prototypes, the external transformation will add transformable external walls and the spatial transformation of the modules is based on the reconfiguration of the prefabricated concrete modules. The REMs is an exhibition of Reversible Experience Modules that shows how to build temporary collections of reuseable products and materials, and how Material Passports are the key tool to organize the build and rebuild. The REMs exhibition exists of more than 70 building materials and -products, all optimized for healthy use and reuse. Together they form a space that resembles parts of actual Buildings. Visitors use the material passports to dismantle and rebuild parts of the exhibition themselves. They experience the benefits of building for reuse, and see what material passports make possible. In January 2018 the REMs exhibition started it’s year-long road trip. The exhibition of circular building materials will be build and rebuild 6 times, and visit 6 locations in one year. Major objective of the Green Design Centre (GDC) is to become an educative public information centre in south east Europe, showcasing new concepts and technical solutions for the realization of dynamic and green building concepts, supporting circular use of materials and energy within the built environment. The Green Design Centre will be a new construction of 100 m² replacing an existing structure in Bosnia and Herzegovina. Green Design Centre will be developed as a multipurpose and demountable/replaceable structure demonstrating waste reduction of 60% and the reduction of the use of virgin materials by 50%. It is also a place for development of new reversible concepts with the local industry. What is the aim with the pilots? 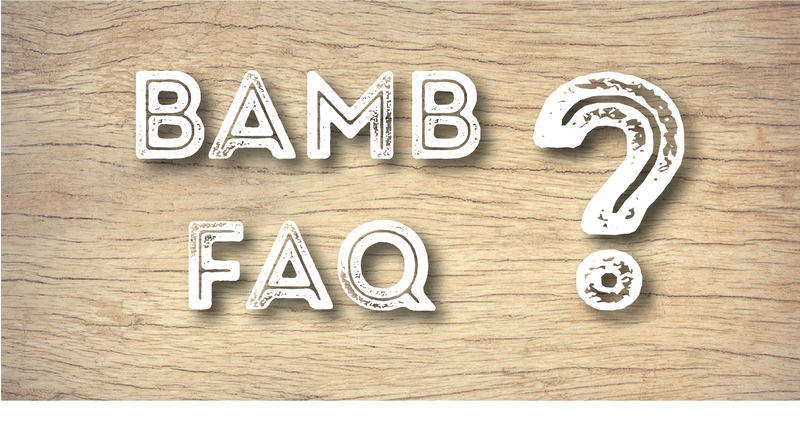 They all have specific goals but the overall goal is to show the usability of the different tools and processes developed within the BAMB project in order to reduce demolition waste and reduce the use of new natural resources. Test the different tools such as the Materials Passports, Reversible Building Design and Circular Building Assessment but also provide insights regarding financial and business models and potential policy opportunities and barriers. Demonstrate and support market opportunities by presenting the projects on international events; in trainings; in publications and organising visits but also to illustrate concretely the different aspects of the BAMB project and the resulting tools and outputs.